Monitor the main functions of your PRECIA MOLEN indicator remotely and display weigh results on your smartphone or tablet. 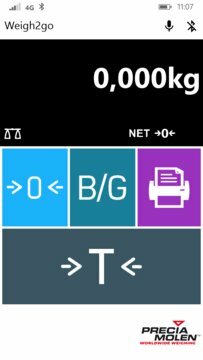 Weigh2go increases operators’ productivity by freeing them from the necessity to be near the instrument to carry out the various weighing operations required for manufacturing and checking processes. Remotely accessing common functions such as tare and printing represents a major gain of time – for example for handling device operators. 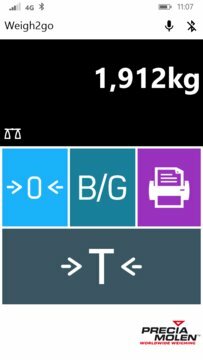 Using vocal commands, the operator can focus on his main activity and easily interact with the weighing station whichever the configuration of his work environment.